A remake of Japanese mission (pearl harbor). Each player starts with 3 ore nodes and with 1 expansion for each player. 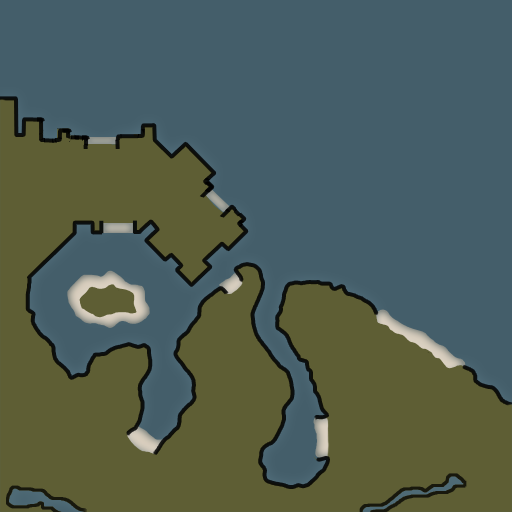 However, the expansion contains 1 imperial harbor. Ore refineries and tech structures are protected by civilian spectrum towers that will regard both players as hostiles, so be careful! There are hospitals and garages in the eastern part of the island.